I also, perhaps very wrongly for a Tour Guide, must confess to absolutely detesting with a passion and totally failling to understand the appeal of that wretched tower! 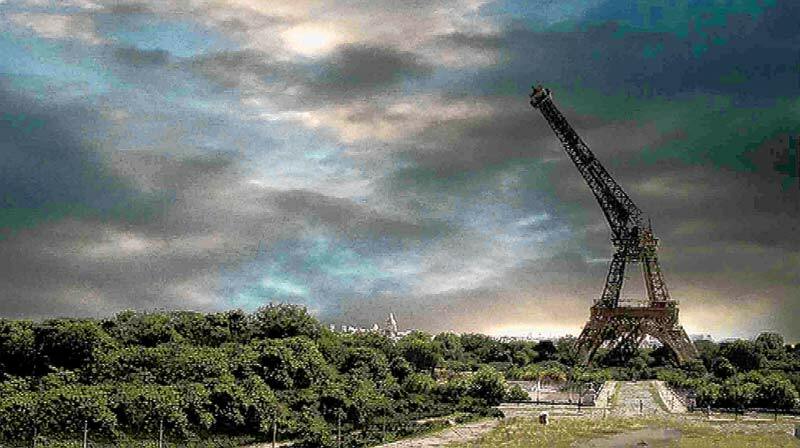 However the more I return to Paris and the more I get to explore away from the super-crowded, must-see sites; the Eiffel Tower, the Louvre, Notre Dame, Versailles, Mont Martre etc, the more I am discovering why so many people find it such a special place. Hotel Eldorado – 18 Rue des Dames. I cannot remember how I came across this place, it has been a long time. It is one of my favourite hotels in the world, though it has been a couple of years since I stayed there. The owners have travelled widely and each room has been carefully, and beautifully decorated in a theme of different countries they have visited. Le Bouclard – 1 Rue Cavallotti. Coming out late one night from the nearby cinema after one of those films that doesn’t allow you to go bed immediately, I decided to walk the outside of Montmarte Cemetery. It was super quiet and dark. 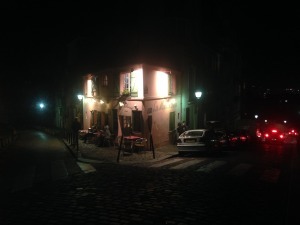 Then near the completion of my walk (and embarrassingly just around the corner from my hotel) a light poured onto the wet pavement… Le Bouclard. What a find. Oh La La – THIS is French – Fantastic! 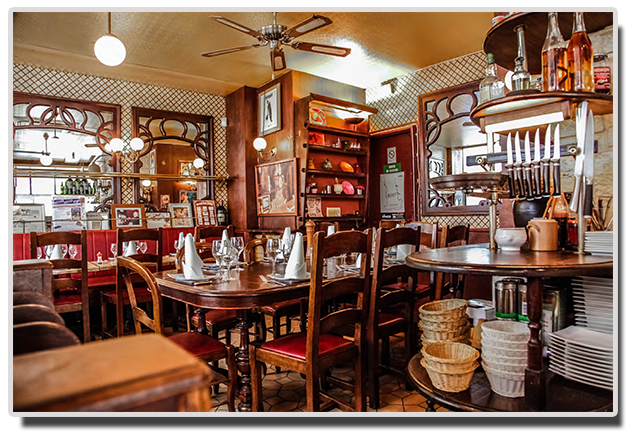 A Frenchman who for 25 years lived the American dream, then returned to Paris (aged 50) with dreams of his own restaurant, here Michel Bonnemort creates amazing, amazing French traditional cuisine. The atmosphere is one of THE best I’ve come across recently – go, just go (but book first). Website here; Le Bouclard. 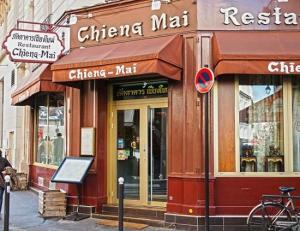 Chieng Mai – 12 Rue Frédéric Sauton, 75005 Paris. I’m not going to say much about this other than; simply the best Thai food I’ve had outside Thailand hands down. That should be enough for anyone. It’s become my go-to place when I give my groups free time for lunch near Notre Dame. There doesn’t seem to be a website. Closed on Wednesdays. You could call (if you want) 01 43 25 45 45. Enjoy. Flagrant Delice, 16 Rue Saint-Severin, 75005 Paris. For work I often ‘have to’ eat in the Latin Quarter. It’s not my favourite part of the city as you can imagine – fun when you are young no doubt and great for my groups, with such a variety of food, but for me a little too touristy. However, when work takes me here, my favourite place – due to it’s service mostly (the prices and quality seems comparable in most restaurants here) has to be Flagrant Delice. Very nice staff, helpful and fast service. I wouldn’t seek it out, but if you’re here, well worth it. Metro – RER: Saint-Michel. 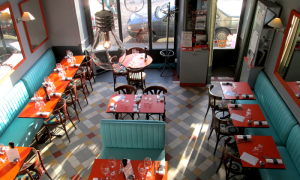 Cru – Restaurant, Village Saint Paul, 7 Rue Charlemagne 75004, Paris. Now this IS one of my favourite Paris restaurants. Actually ex-favourite would be more appropriate as I recently turned vegetarian – and this place does THE best steak tartare on the planet (?). 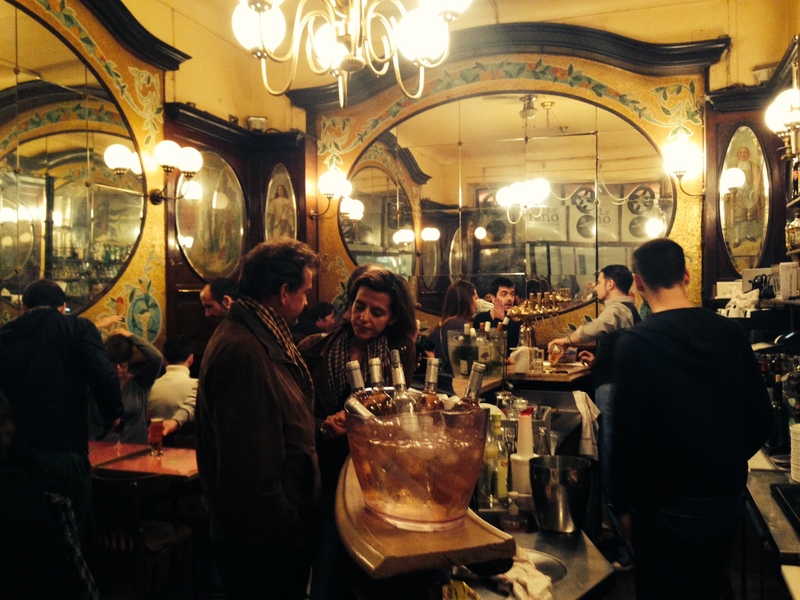 The whole area surrounding it – Saint Paul – is great, with loads of bars for aperitifs and digestifs. I’ve had two birthday dinners here and can’t recommend it enough – book ahead on their website. Restaurant Riad Nejma – Cuisine Marocaine – 141, rue St. Martin 75004 Paris. Right opposite the Pompidou Centre, you’d never walk in here by chance. A rather grotty, unkept excuse for a terrace, three withered palms give absolutely no clue to the oasis that hides behind. What a place! Take a step across the threshold and voila; Marrakech. 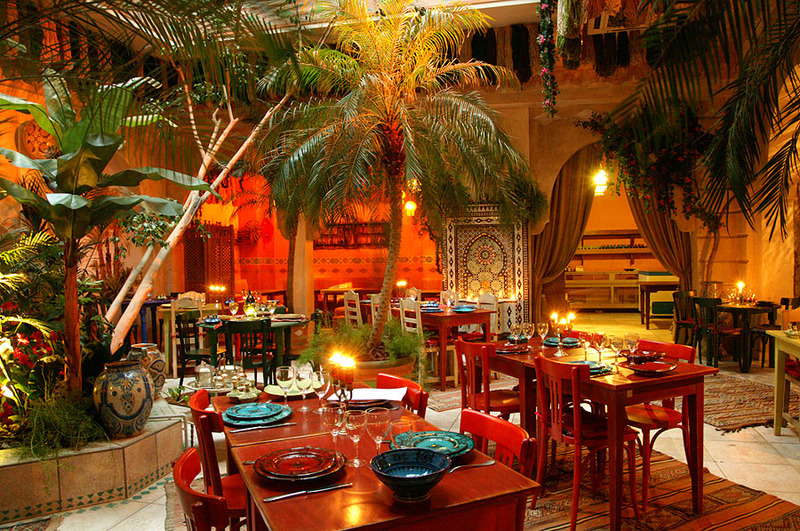 The food is incredible – authentic and well priced. 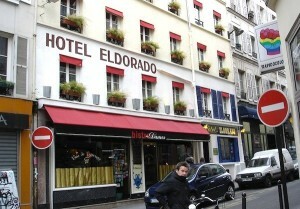 The service is good and the surroundings simply spectacular – was taken here by a Parisian and will be back many times! Here is their website. Au Rendez-vous des Camionneurs – 72 Quai des Orfevres. I used to love going to the little square tucked away behind the buildings by the Pont Neuf, on the Ile de la Cite. There are a few lovely restaurants and the atmosphere is enhanced often by boule players. It was a great sandwich on a bench spot. Then recently coming off a boat and being hungry I found this small place on the island – facing the left bank. No idea why the ‘meeting point of the lorry drivers‘ (will ask next time). The food is great. It’s not the cheapest. It fills up, so book. 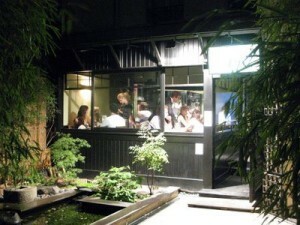 I really liked the ambience as well as the decor and have been back a few times since. Website here; Au Rendez-vous des Camionneurs. La Mason Rose – 2 Rue de l’Abreuvoir, 75018 Paris. 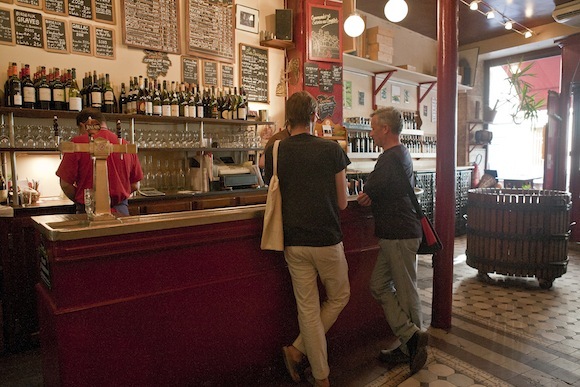 Admittedly a little less of a find than it once was, the Mason Rose, right opposite from the famous Montmartre vineyard, appears as a pink oasis nestled safely below the conveyor belt style eateries that surround the Place du Tertre above. This is the hill on which ‘bistros’ were invented as Russian troops stationed here in 1814 demanded food quickly ‘bystro’ in Russian. The Pink House is maybe not so much about food these days – it’s decent and not too expensive. Certainly worth grabbing a seat and a relax prior to (or after) dealing with the hoards above. Don’t think there is a website. Le Coupe-Chou – 9 & 11 Rue de Lanneau, 75005 Paris. Years and years ago, when I knew Paris less well (and before 2ndcupoftea) a couple of clients asked me to find a good restaurant in the Latin quarter for dinner. I confess to texting my girlfriend at the time, who from Australia found Le Coupe-Chou and said; the reviews are good, the menu looks good. It was. Housed in 6 rooms in a 15th C building, the atmosphere is really top – very romantic with nooks and crannies. I then forgot about it, until stumbling across it by accident yesterday (October 2014). The lunch menu at 14.50 was great value and the accompanying wine surprisingly good. Happy to be back, and thank you Bec. Here is their website. Le Coupe-Chou. Le Baron Rouge – 1 Rue Théophile Roussel, 75012 Paris. This is very close to the wonderful Marche Aligre (so maybe head there around lunch to take this in also). I take my groups here for a taste of whatever happens to be good that week – this includes wonderful bio juices by the way. Then I generally arrange for a cheese board and some excellent homemade pates to boot and voila- perfect, authentic light lunch. It is simply such a great place, so real and full of character. There can’t be that many left in Paris one wonders? I’ll be returning on each and every visit – certainly worth detouring for. No website as all the focus went on the wine (by the way, if you b.y.o – empty bottle that is – you can fill it direct from the barrel for around €4.00 a litre!) Sante! 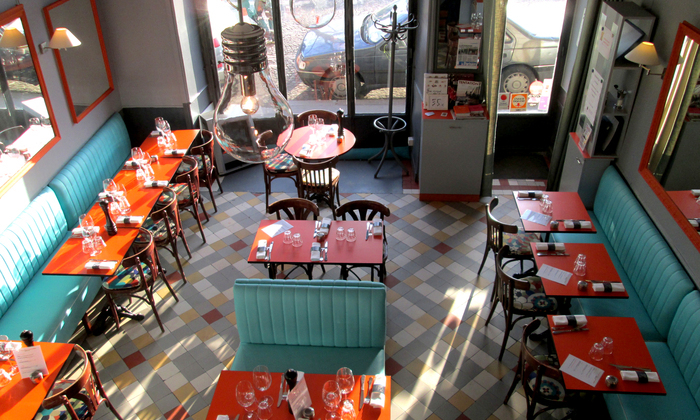 Bistrot Le Cyrano – 3 Rue Biot – Le bistrot des musiciens et comédiens. Well, it is thanks to a chance viewing of the film of the same title that I today speak French. Gerard Depardieu in the title role simply made me fall in love with the most beautiful language on earth and although I’ll never reach this level… it gives me hope to come to this great bar-bistro and continue progressing over a glass of red. 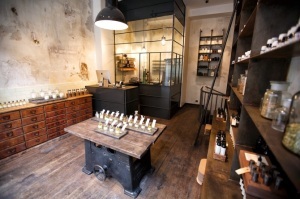 Le Labo St Germain – LE LABO FRAGRANCES 6, rue de Bourbon-le-Château 75006 Paris. This is exactly the kind of classy indulgence I adore. Here is where I buy my fragrances. 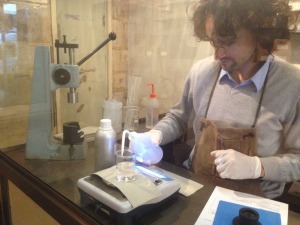 I’ve always preferred to seek out scents that are not massed produced and this is the place. It is not cheap, but you get what you pay for. Walk in, let the ‘nose’ take you on a magical tour or scents and their ingredients. Pick your favourite and stand back and watch as it is blended right in front of your eyes (as this is done on a scale and with tiny drops – this has the wonderful attraction of there never being two identical out there). The decor is olde worlde, the packaging minimalist and eco-friendly and the label is even personalised (the date of blending, the lab technician, the location and your name) – exactly the sort of thing I’m a sucker for. Oh well, the good things in life right? Here is their website (look for the 2 Paris locations) Le Labo. 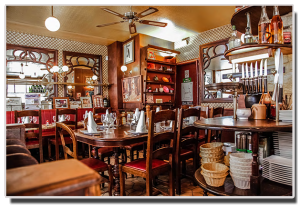 Au Lapin Agile – 22 Rue des Saules, 75018 Paris. I’ve been fortunate enough to visit both the Moulin Rouge (love it) and the Lido (love it less), but there is no doubt that if you want the full ‘Midnight in Paris’ experience and to be transported back in time, the Lapin Agile is your (much much cheaper) vehicle. Already in 1875 this place was well known when artist Andre Gill painted the iconic sign, a rabbit leaping out of a stew pot. Steeped in history thus (you must look up the Donkey Lolo). 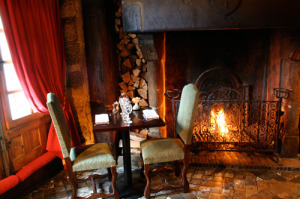 You will be seated around a dimly lit room which from all angles is entertained by what looks like a combination of artists and patrons with little else to do than come to drink the traditional cherry brandy and a passion for songs or reciting poetry sometimes dating back a full 600 years. You should certainly book by giving them a quick ring, just to avoid disappointment. 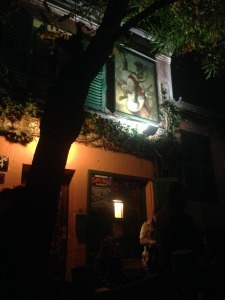 Their website with number is here; Au Lapin Agile.